Looking for some clear Skye? 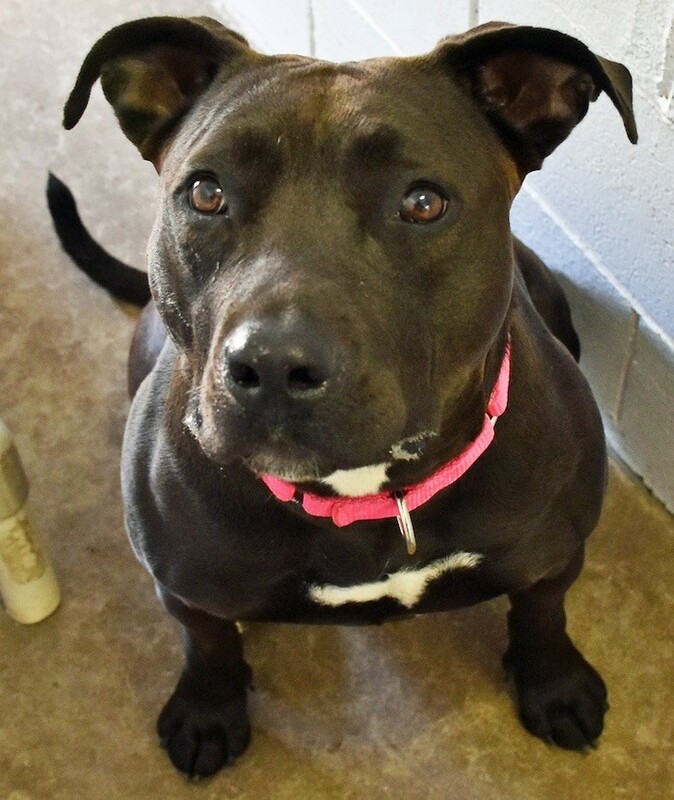 Skye is a two-year-old, 47-pound Staffordshire terrier who is a beautiful dark chocolate brown. She is a little skittish around new people and things, so giving her time to check things out is important. Skye is food motivated, so a few treats can help turn scary strangers into new friends. Once that happens, Skye is a cuddler, and there is no such thing as too much petting. She is a smart young lady that does well with obedience training (she already knows sit and down) and is very attentive to her handler. HSBC is still working out how Skye gets along with other dogs, but smaller animals are not a good idea. Her perfect home right now would be where she could be an only pet. If you have been past the new site on County Road D, you have seen that work is starting to progress! Among the challenges before moving into the new shelter space include digging a new well, upgrading the septic and HVAC, and fencing in a yard for the canine residents. As part of this, HSBC is launching the "from Dream to Reality" capital campaign specifically for the work on the Peggy Schilling Animal Adoption & Education Center. Started through a very generous donation by Hugh Schilling, Sr., these funds do not cover everything that is needed for the completed facility. The bullet points are– while HSBC is looking to raise $350,000 to pay contractors and put aside for unforeseen costs (like digging a new well). These can be one-time or annual pledges. No donation is too small! That said, contributions of over $2,500 will have an opportunity for naming rights for areas in the shelter. For more information, email HSBC.dreamtoreality@gmail.com.